The ladies have definitely proven themselves a force to be reckoned with in fitness and sports. But in all honesty, many supplement lines don’t really reflect or respect that many women want more than just fat loss these days. Don’t get us wrong—we’re all for the idea of a company that is driven to serve and support women in their fitness journeys. But the same-old pink labels and brands tailored strictly to men are songs that have been played time and time again. Not sure about you, but we’re ready for a line that takes women more seriously than that. Enter the newly launched Revel, a brand with a target message behind it that doesn’t scream “make yourself smaller.” Rather, they first and foremost seek to celebrate strength in every aspect of a woman’s life. 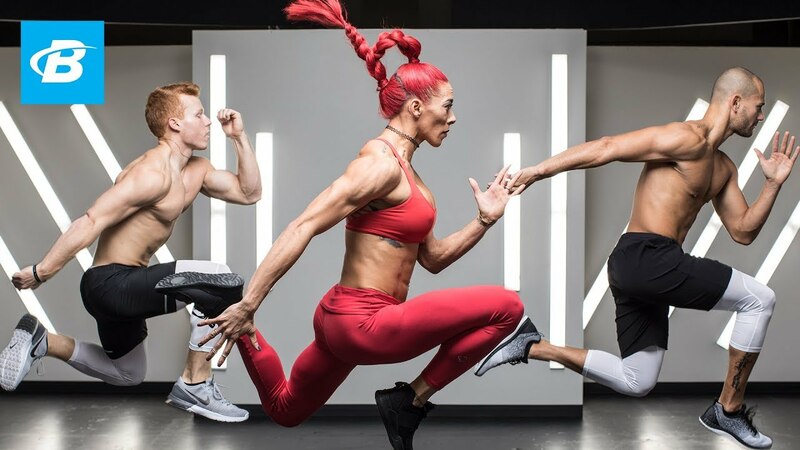 Revel is about the active lifestyles of women with relentless drive and goals beyond quick fixes and slim waistlines—and who want to put the right ingredients in their bodies to support that effort. Revel is proud to offer products backed by research that is conducted specifically for women, by women, to meet their specific needs. We spoke with Charina Lumley, the Head of Product Development for Revel, who is extremely passionate about the growth of women’s participation in fitness and sports, cultivating an inclusive community, and seeing women work to build strong bodies—and strong minds. Bodybuilding.com has been around since 1999. Why launch Revel now? 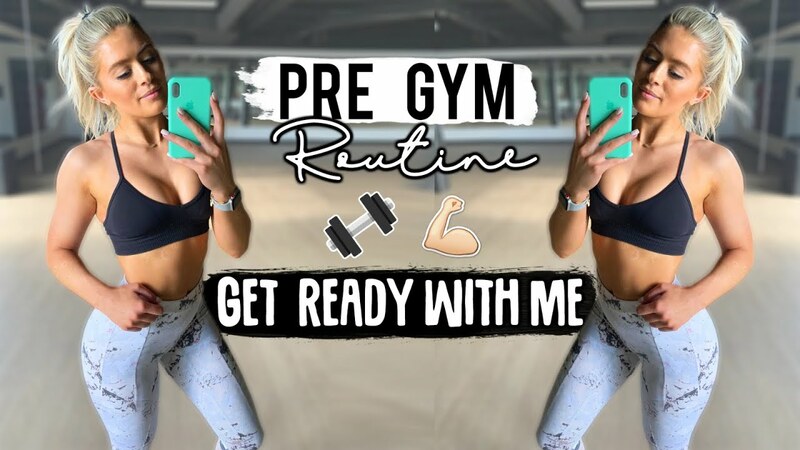 There has been a rise in obesity, disordered eating, and body dissatisfaction in recent years, and Bodybuilding.com has the distinct opportunity to tackle these health and social issues that affect women today. Through education on everything from health and wellness to products that supplement their nutritional plans, there’s no better time than now to celebrate women, wherever they may be on their health and fitness journey. To revel is to celebrate and our vision for the brand is to celebrate women in all their “moments of triumph.” For some, that might mean crossing the finish line of an Ironman or hitting a PR on their clean and jerk. But for others, that might simply mean waking up early to crush a 30-minute HIIT session before making breakfast for her kids. Is there a void in the market that Revel seeks to fill? Typically, research in the sports nutrition category has predominantly been conducted on men and then applied to women. However, with Revel, our formulation used clinically validated research on our ingredients’ effectiveness on women specifically. That enabled us to bring an efficacious product set to market that’s uniquely designed for a woman’s body. The packaging looks different from the “shrink it and pink it” approach some other companies have taken to supplements for women. Is that a conscious move? It is enormously important for us to have an identity that stands for something more than pretty and pink because what we believe in is quite the opposite. We believe in getting strong, not just skinny. We believe in the power of hard work, sweat, and creating a lifestyle change—not misguided promises of magical pills. Our logo represents the connection of emotional, mental, and physical strength. These elements work in concert together to help you realize your best potential. What products are available initially? With both sports nutrition and overall wellness in mind, we’re excited to launch with protein, energy, and recovery products to support everything from growth of lean muscle mass to recovery for delayed onset muscle soreness. With our multivitamin, green tea extract, metabolism booster, and probiotic, we’re also thinking about women’s gut health, overall health, and even radiant hair, skin, and nails. We spent an extensive amount of energy amassing all the research that we could to validate the effectiveness of our chosen ingredients on women specifically. So, our formulas include key components that have been clinically shown to benefit a woman’s unique physiological needs. 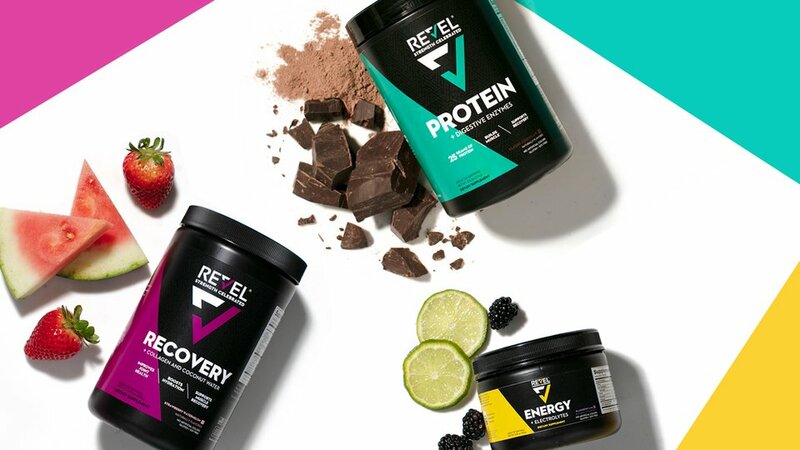 Revel protein powder contains 25 grams of rBGH-free, non-GMO protein and just 2 grams of sugar. But more importantly, we’ve added two other key ingredients: CLA (conjugated linoleic acid), which acts as a healthy fatty acid source to help maintain lean muscle and support metabolism; and choline, which promotes healthy brain function and improves mind-muscle connection. This is all in the name of better performance in the gym and a well-running body throughout the day. Do Revel products contain proprietary blends? We believe in transparent labels, and even more so in equipping our customers with knowledge about what each of our key ingredients offers them. All of our labels provide detailed information about the ingredients we’ve selected, including why we selected patented versions that have been clinically validated by research on women specifically. What was the overarching approach to flavoring Revel products? With the rise of unique flavor combinations in drinks offered by La Croix, Mio, and Crystal Light, we wanted to explore dynamic flavors that people wouldn’t normally find in sports nutrition products. We’re thrilled that our Revel flavors are unique and come in a multitude of bright combinations such as Apple Pear, Blackberry Lime, Strawberry Watermelon, and Peach Mango. We’re most excited about the versatility of our Vanilla and Chocolate Protein powders. You’ll discover new and different flavor notes when you mix them with water versus milk versus milk alternatives such as almond and coconut. In general, we’re thrilled that each of our products offers something science-backed for our female customers. But I’m most excited about our distinctive nootropic and adaptogenic ingredients that support cognitive function and mind-muscle connection. TeaCrine is naturally found in tea leaves and serves as a powerful nootropic, and Peak O2 is a powerful blend of mushroom adaptogens to help manage stress responses. At what rate do you plan to add new products to the Revel line? 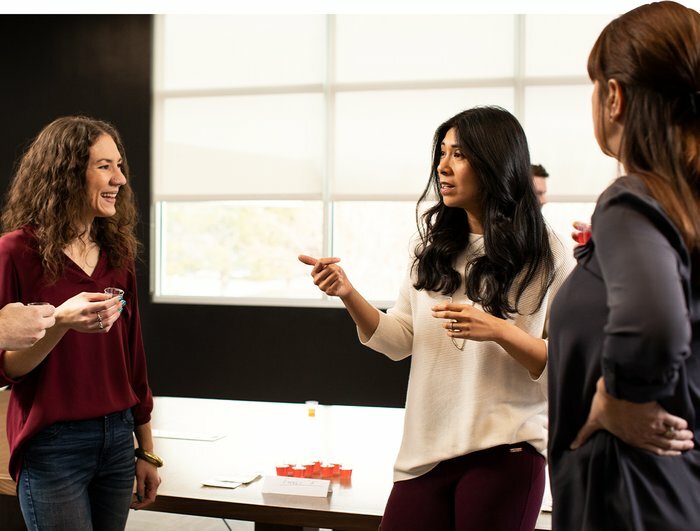 We’re already working on exciting new flavor extensions for our proteins, energy, and recovery products, but the real determining factor on new products will be feedback from our community and science-backed research on novel ingredients that can support women’s health. Beyond the products, is there a Revel lifestyle? The Revel mentality encompasses three important points, the first being inclusivity. It doesn’t matter what size, shape, age, or color you are; we’re just thrilled that women are moving in the direction of turning fitness and sports into a lifestyle. The next is acceptance. There are going to be both hard and easy days, inside the gym and out. We’re not pushing for perfection, but acceptance that creating a healthy body takes time. And lastly, strength. We sometimes forget that power doesn’t have a look; it’s a mental, emotional, and physical manifestation of dedication, hard work, and belief in ourselves.